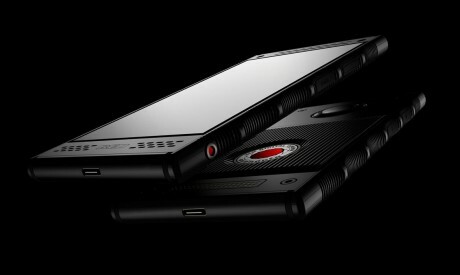 AT&T and Verizon Wireless today voiced support for the Red Hydrogen One phone, which they'll sell later this summer. The Hydrogen One was first announced in summer of 2017. It is a pricey Android phone with a 5.7-inch "holographic" display touting glasses-free 3D. While the display supports traditional stereo 3D, it also supports a new 3D-like "holographic" technology created by Red called Hydrogen 4-View (H4V). The phone body sports Red's industrial design and comes in either aluminum or titanium. The Hydrogen One will support snap-on modules for shooting both high-resolution video and H4V content. It will also integrate with other Red products, serving as a touchscreen controller and monitor for Red cameras. The phone also has USB-C and a microSD memory card slot. When first announced, Red listed the Hydrogen One's price as $1,195. Neither AT&T nor Verizon said what they'll charge for the phone. The Hydrogen One was expected to go on sale in early 2018, but it has been delayed several times. An exact for-sale date was not provided.